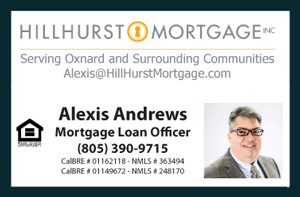 Coming Soon Move-in ready Home for Sale in Oxnard CA near the Port Place Market center. This home features 3 Bedrooms 2 Baths and a Bonus Family Room with over 1300 Sq Ft living space and a two car detached garage. Single level floor plan with excellent space flow. Move right in with all the appliances included. New laminate wood like flooring, New Carpet in all the bedrooms, tile flooring in all bathrooms. Excellent floor plan with substantial natural light. Ranch style front fencing with a sturdy backyard work-shed and several fruit trees including a large avocado tree. The home sits on a large corner lot with over 6500 sq ft and RV Parking Area. The new Port Place Market center is only a few steps from the front door. Walk to the grocery store only one block away or drive down Channel Islands Blvd. for beach access and catch a sunset along the Ocean. Walkability- Walk to the grocery store. Please feel free to Call or Text for a private showing.